Shooter fans are being warned about a Battlefield 3 "fan site" selling fake beta keys and hacks that's run by a guy who's been involved in at least two other BF3-related scams in the past. There are a lot of jerks on the internet and one of them is apparently running bf3nation.com, the self-proclaimed "Number One Battlefield 3 Community." 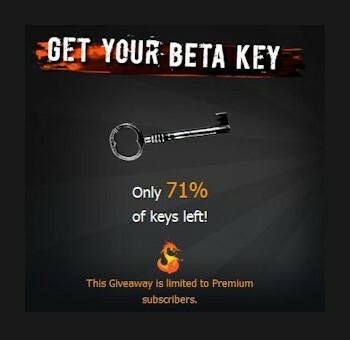 The site offers Battlefield 3 beta keys to "Premium subscribers," but there's just one problem: they're fakes. I'm not willing to pursue the process far enough to find out whether or not any sort of "key" is actually provided, but clicking the link to get one leads to MyOnlineRewards.net (for the Canadian link, at least; separate links for the U.S., U.K. and Australia are provided but none of them work from my location) and a request for an email address, which is where I put on the brakes. According to BF3Blog.com, the site is not only selling fake beta keys but also fake Battlefield 3 hacks, which you would think might raise a red flag with prospective customers since the game isn't actually out yet. The site says BF3Nation is being run by the same person behind the "infamous" battlefield3-beta.com website, which EA also issued a warning about, and who ran a fake Battlefield 3 voucher offer in order to harvest email addresses. EA actually tried to shut the site down over the weekend with a DMCA takedown notice but was apparently thwarted, possibly because its claim that the site contains content "that infringes copyrights owned or controlled by EA" is blunted by the fact that the publisher freely provides that material for fan sites to use. Whatever the reason, BF3Nation is still kicking and still offering keys, so consider yourself warned. Battlefield 3, by the way, is expected to come out in late 2011 for the PC, Xbox 360 and, assuming the PlayStation Network is fixed by then, PlayStation 3.